Dylan Suth joined Patterson in 2018 as an analyst responsible for underwriting investments and developments, preparing financial models and processing investment offerings. 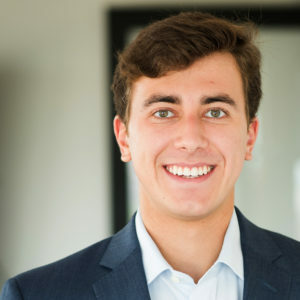 As part of the transaction team, Dylan works directly with clients to create appropriate capital solutions for their unique real estate opportunities. Prior to joining the firm as a full-time analyst, Dylan was an intern for Patterson assisting the transaction team in the execution of debt and equity assignments. Dylan previously interned for FIDES Capital Partners, a commercial real estate capital advisory and investment firm in Chicago. While at FIDES, Dylan conducted underwriting and valuation analysis to support the execution of multifamily, office, student housing, and hotel transactions. Dylan is originally from Northbrook, Illinois and grew up playing hockey and lacrosse. He currently resides in Atlanta and enjoys running, skiing, attending sporting events and spending time with family in the Outer Banks of North Carolina and Big Sky, Montana.